The volcano continues to explode frequently, roughly every half an hour on average, producing dense ash plumes that rise up to approx. 4 km above the volcano's summit. 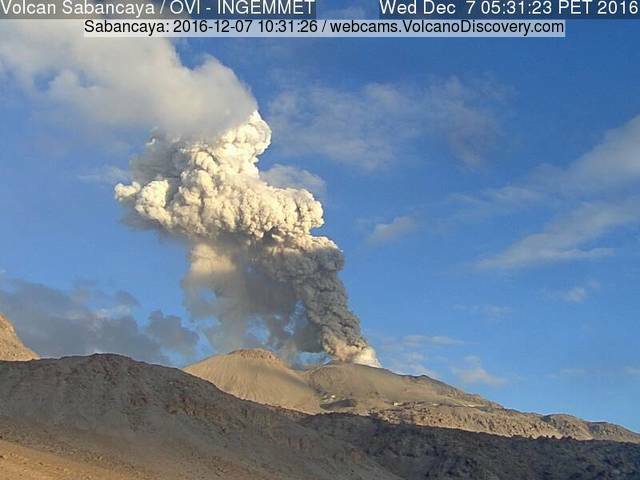 The ash plumes have been drifting for up to 40 km to the NE, E, SE and S of the volcano before dissipating. Peru's Geophysical Institute (IGP) reported 349 explosions during the past week (28 Nov-4 Dec 2016), an increase against 288 during the previous one. 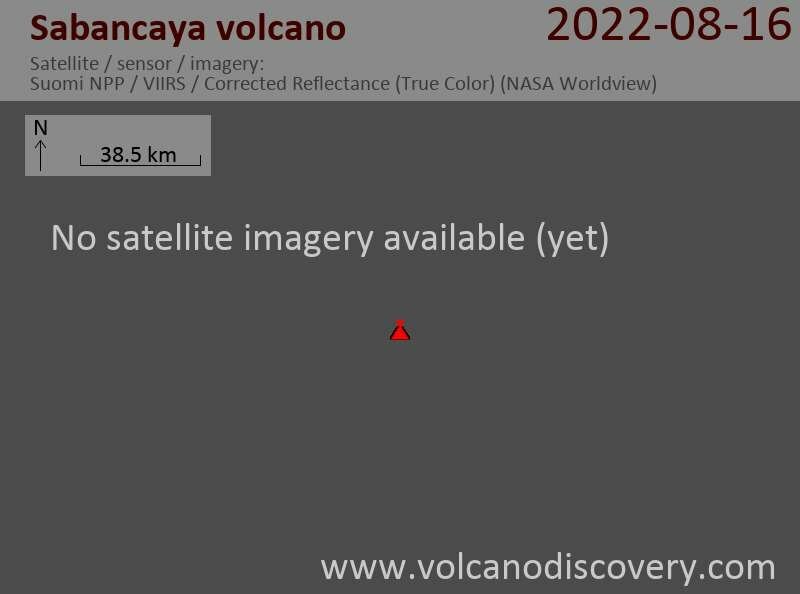 The same is valid for the other monitored parameters, indicating that the ongoing eruption is still probably building up (slowly). The latest report of IGP indicates that the energy of volcanic earthquakes and tremor increased during the past week with a peak on 1 Dec. It is thought that the activity is being caused by a moderate and relatively steady supply of magma. There continues to be small deformation on the south-eastern flank of Sabancaya as well, surface expression of the intrusion at shallow depth. Likewise, SO2 emissions remained high, with approx. 3000 tons / day. An exclusion zone of 10 km radius around the volcano remains in place.